The controversy over Arizona’s new law for assisting the federal government in enforcing immigration law is a gold mine for expanding our understanding of the Constitution. A common argument by those opposed to the law is that the Constitution gives the federal government exclusive jurisdiction over immigration policy and enforcement. That is not only illogical but factually incorrect as well. The Article quoted to support this argument is Article I, Section 8, Clause 5, “[Congress shall have the power] to establish an uniform rule of naturalization”. Naturalization and immigration are not the same thing. Naturalization is the process by which a person becomes a citizen. Immigration is when foreign nationals take up permanent residence in the country. The power of the federal government over immigration would be an implied power, not one of the enumerated powers listed in the Constitution. Implied powers rely on the interpretation of Article I, Section 8, Clause 19, “[Congress shall have the power] to make all laws which shall be necessary and proper for carrying into execution the foregoing powers…” The key words here are “necessary” and “proper”. 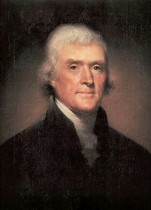 As Thomas Jefferson pointed out in his opposition to the establishment of a national bank, a law is necessary only if the power cannot be carried into execution without it. Obviously, controlling immigration is not necessary in order to establish uniform rules for becoming a citizen. Is it “proper” for the federal government to have exclusive authority over immigration? Definitely not, immigration’s primary impact is on the states and the communities within those states. The practical affects of immigration at the national level is negligible compared to those at the state level. The Constitution is silent on the subject of immigration because it was not an issue at the time. 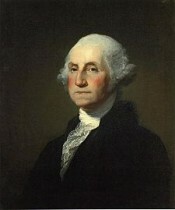 The founders believed that the right to migrate was a natural right inherent in “the pursuit of happiness”. The first law that placed restrictions on immigration was the immigration act of 1875 which gave the government the authority to deny entry into the country of convicts and prostitutes. The History and Technology Museum in Washington, DC displays a chart that outlines the long legislative history of limits placed on the immigration of various groups: convicts and prostitutes (1875); idiots, lunatics, and persons requiring public care (1882); Chinese (1882-1943); gangs of cheap contract laborers (1885); immigrants with dangerous contagious diseases, paupers, and polygamists (1891); epileptics, insane persons, beggars, and anarchists (1903); the feeble-minded, children under 16 unaccompanied by parents, and immigrants unable to support themselves because of physical or mental defects (1907); immigrants from most of Asia, and adults unable to read and write in English (1917). Legislation since that time set quotas for immigrants by nationality, required registration, and established preferences for certain groups of immigrants, such as those with relatives already here, and workers with skills needed in the US. Since immigration is not one of the enumerated powers given to the federal government by the Constitution, it is a power reserved to the states under the Tenth Amendment. As the list above indicates, immigration law has traditionally been based on social and economic considerations and in times of war, national security. While it makes sense to have uniform immigration laws at the federal level, it does not make sense to give the federal government exclusive authority in enforcing those laws. This is particularly true in today’s climate of international terror, human trafficking and illegal drug cartels. Immigration law can ONLY be adequately enforced at the state and local level where the illegals actually are. Constitutional requirements for the federal government concerning immigration is not found in Article I, Section 8, it is found in Article 4, Section 4. “The United States shall guarantee to every State in this Union a Republican Form of Government, and shall protect each of them against Invasion; and on Application of the Legislature, or of the Executive (when the Legislature cannot be convened), against domestic Violence”. The state of Arizona has an estimated 500,000 illegal immigrants living within its borders. By any standard that constitutes an invasion. An invasion does not have to consist of an armed military in order to be a threat to the purpose of the Constitution as given in the Preamble, “[to] insure domestic Tranquility”. Not only does Arizona have the right to enforce immigration law, it has the duty to do so. It also has the authority under the Constitution to call out the National Guard to protect its borders. 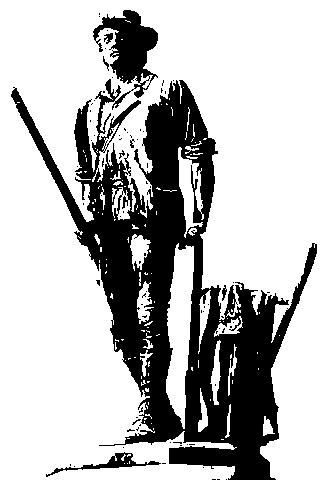 Article I, Section 8, Clause 16, “[Congress shall have the power] to provide for calling forth the Militia to .…repel Invasions“; The word “provide” simply means to make the necessary means available. Article 4 requires the Federal government to acquiesce to the judgment of the state Legislature or Governor in using the National Guard to repel invasion or control domestic violence. Another great Ray Stevens video. I’m Arizona State Senator Sylvia Allen. I want to explain SB 1070 which I voted for and was just signed by Governor Jan Brewer. Rancher Rob Krantz was murdered by the drug cartel on his ranch a month ago. I participated in a senate hearing two weeks ago on the border violence, here is just some of the highlights from those who testified. Another rancher testified that daily drugs are brought across his ranch in a military operation. A point man with a machine gun goes in front, 1/2 mile behind are the guards fully armed, 1/2 mile behind them are the drugs, behind the drugs 1/2 mile are more guards. These people are violent and they will kill anyone who gets in the way. This was not the only rancher we heard that day that talked about the drug trains. One man told of two illegal’s who came upon his property one shot in the back and the other in the arm by the drug runners who had forced them to carry the drugs and then shot them. Daily they listen to gun fire during the night it is not safe to leave his family alone on the ranch and they can’t leave the ranch for fear of nothing being left when they come back. The border patrol is not on the border. They have set up 60 miles away with check points that do nothing to stop the invasion. They are not allowed to use force in stopping anyone who is entering. They run around chasing them, if they get their hands on them then they can take them back across the border. Federal prisons have over 35% illegals and 20% of Arizona prisons are filled with illegals. In the last few years 80% of our law enforcement that have been killed or wounded have been by an illegal. The majority of people coming now are people we need to be worried about. The ranchers told us that they have seen a change in the people coming they are not just those who are looking for work and a better life. The Federal Government has refused for years to do anything to help the border states . We have been over run and once they are here we have the burden of funding state services that they use. Education cost have been over a billion dollars. The healthcare cost billions of dollars. Our State is broke, $3.5 billion deficit and we have many serious decisions to make. One is that we do not have the money to care for any who are not here legally. It has to stop. The border can be secured. We have the technology we have the ability to stop this invasion. We must know who is coming and they must come in an organized manner legally so that we can assimilate them into our population and protect the sovereignty of our country. We are a nation of laws. We have a responsibility to protect our citizens and to protect the integrity of our country and the government which we live under. The leftist media has distorted what SB 1070 will do. It is not going to set up a Nazi Germany . Are you kidding. The ACLU and the leftist courts will do everything to protect those who are here illegally, but it was an effort to try and stop illegals from setting up businesses, and employment, and receiving state services and give the ability to local law enforcement when there is probable cause like a traffic stop to determine if they are here legally. Federal law is very clear if you are here on a visa you must have your papers on you at all times. That is the law. In Arizona all you need to show you are a legal citizen is a driver license, MVD identification card, Native American Card, or a Military ID. This is what you need to vote, get a hunting license, etc.. So nothing new has been added to this law. No one is going to be stopped walking down the street etc… The Socialist who are in power in DC are angry because we dare try and do something and that something the Socialist wants us to do is just let them come. They want the “Transformation” to continue.